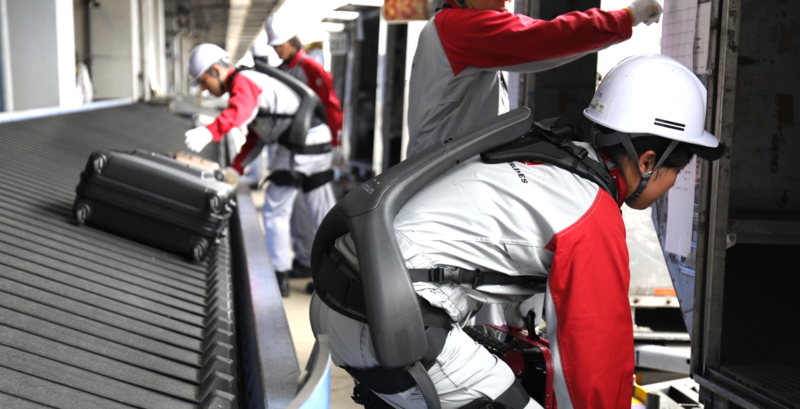 Tokyo, Japan, 2019-Feb-12 — /Travel PR News/ — JAL Ground Service Co., Ltd. (JGS), known for providing airport ground services in Japan and ATOUN Inc., a company known for creating wearable robotic devices, today announced that JGS will purchase and implement the innovative gear to support airport personnel. JGS announced an order for 20 ATOUN MODEL Y gear, distributing 10 to Haneda airport and 10 to Narita airport. As travelers to Japan have increased, the amount of checked baggage and cargo has also increased. At the same time, due to the declining population in Japan, there has been a shortage of staff in the workforce. ATOUN holds a management philosophy which aims to create an environment where any person can perform a job without being influenced by gender or age. Therefore, JGS and ATOUN have joined forces to improve productivity and help reduce any physical stress that may occur over time on the carrier`s airport personnel. The powered wear, ATOUN MODEL Y, mainly supports the lower half of the body. JGS plans to use the gear when staff sorts baggage from the conveyor belt to the containers and when storing baggage in the cargo warehouse. Prior to the order, select staff from JGS tested the device and provided high reviews. Currently, JGS is considering to implement the gear to regional airports throughout Japan. In addition, JGS and ATOUN are collaborating to create a new product to provide additional support for the arm. Through these actions, the two companies have set a goal to reduce any physical stress related to the airport ground handling business. Using new technology, JGS will continue to strive and look to create a safe working environment. About JAL Ground Service Co., Ltd.
Offers airport ground handling services at Narita, Haneda, Osaka, Fukuoka, and Sapporo airport for flights operated by Japan Airlines and other carriers. Founded in 2003, invented wearable robotic devices called “powered wear” to help reduce physical stress on the body. The company`s philosophy aims to create an environment where any person can perform a job without being influenced by gender or age. This entry was posted in Airlines, Airports, Business, Travel, Travel Management, Travel Services, Travel Tech, Travelers and tagged airport personnel, ATOUN Inc., ATOUN MODEL Y, gear, Ground Service, Innovative, JAL. Bookmark the permalink.